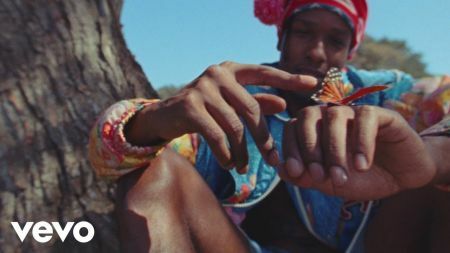 A$AP Rocky has shared the video for the Testing track “Kids Turned Out Fine.” The visual mirrors the dreamy, druggy vibe of the song and opens with Rocky placing something on his tongue. The video then takes you on a trip through a host of snapshots and images, some psychedelic and otherworldly, some worldly and very real, all thought-provoking. It's an amazing cinematic stream of consciousness. Longtime A$AP Rocky collaborator Dexter Navy--who helmed the videos for “LSD, “A$AP Forever” and more--directed the video for “Kids Turned Out Fine” and did a great job capturing the feel and message of the song in images. You can watch the video for “Kids Turned Out Fine” above. “Kids Turned Out Fine” is the fifth Testing track to get the visual treatment following “A$AP Forever” “Praise the Lord (Da Shine),” “Fukk Sleep” and “Gunz N Butter.” Although Rocky has always embraced his cinematic side, the rapper has released some remarkable videos over the past year. Check out the visual for “Gunz N Butter” here or follow this link to watch the visual for “Fukk Sleep” featuring FKA Twigs. Rocky also released a video for his one-off single “Sundress.” Check that one out here. A$AP Rocky is currently on tour around Testing. 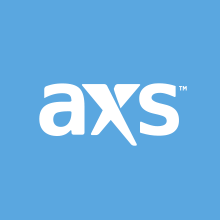 Click here to browse AXS for tickets to select A$AP Rocky dates. The Harlem rapper will also perform at BUKU Music + Art Project at Mardi Gras World in New Orleans this spring alongside his frequent collaborator Lana Del Rey, GRiZ and many more. You can find tickets to BUKU here.